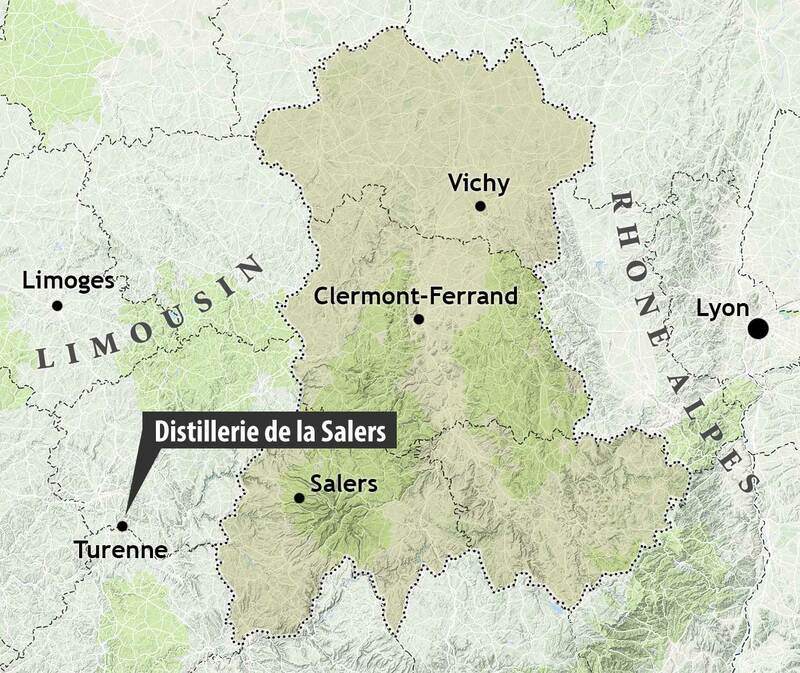 Salers Gentiane Liqueur is made from the root of Gentiane lutea—a wild flowering plant that grows in the Massif Central of France. 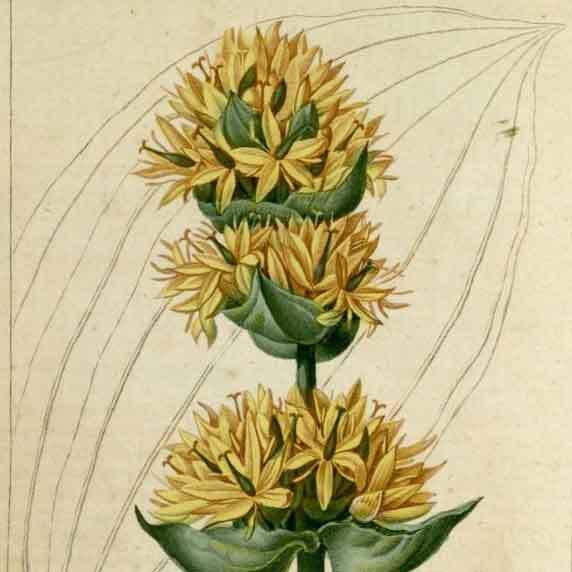 Its large tuberous roots are bitter and have been used for centuries as an aid to digestion among other cures. 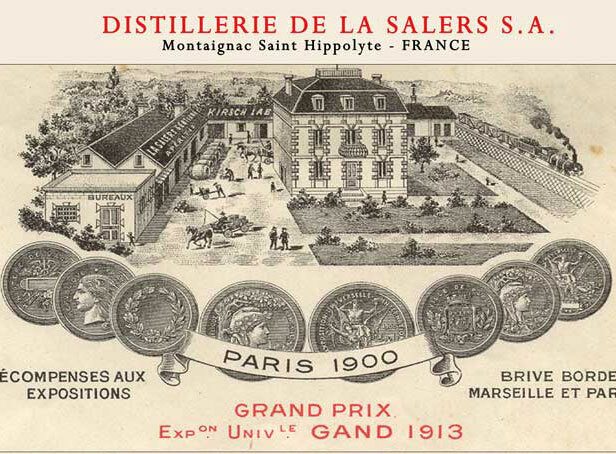 Established in 1885, the Salers distillery is the oldest of all the producers of this unique aperitif. 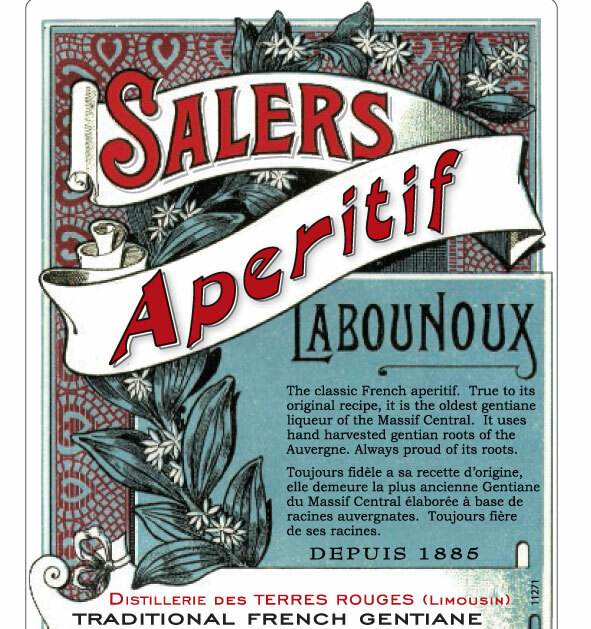 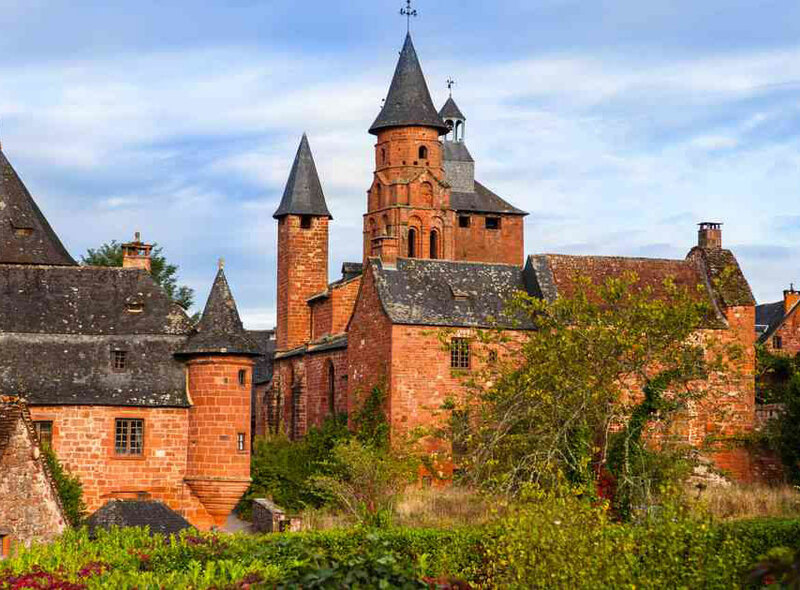 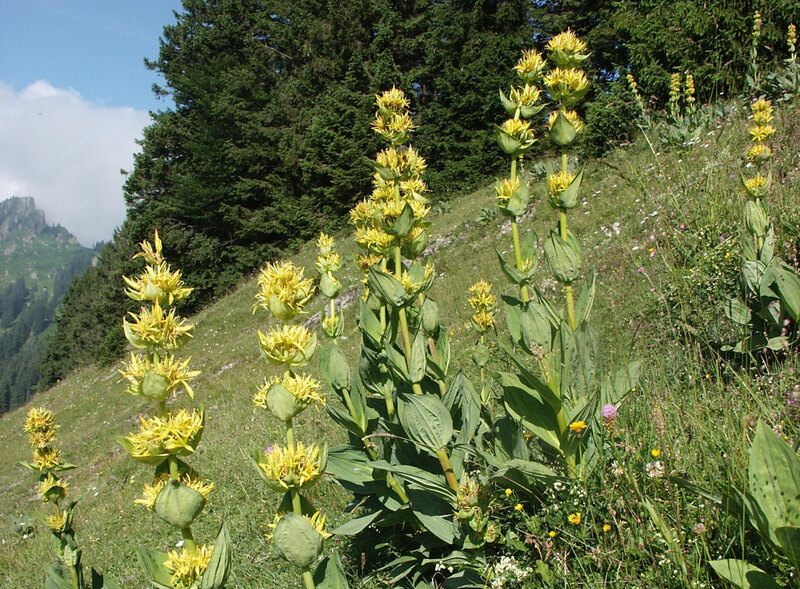 It is based in the town of Salers, close by the Puy Marie, the highest mountain in the area and the source of the finest gentian root.